Spring, Summer, Autumn and Winter are a great excuse to teach your preschool child with crafts and activities. 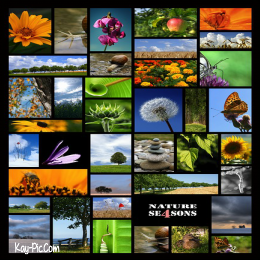 Then, ask your child to point to divide the pictures up for different times of the year. You would even make a book with a page for each of them. 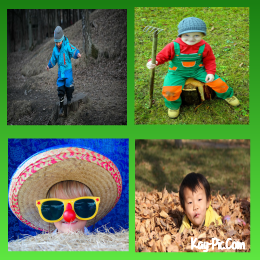 Not only glue photos of the clothing, but also activities you might do during Winter, Spring, Summer and Autumn. Sledding, beach ball, raking. Who Are You Mr. Bug? Outdoors is great place for learning and young students love to go outside, not to mention bugs! This is a great all year round adventure. Let your young child see what creatures are about in Winter. Are they still there in Spring? Are there more of them In Summer? What are they up to in the Autumn months? Pick a day when going outside will be enjoyable. You will need a picture of a harmless bug that can be easily located in your area. You will also need a large clear plastic cup with small pin holes in the bottom. Can You Find A Ladybird In Winter? 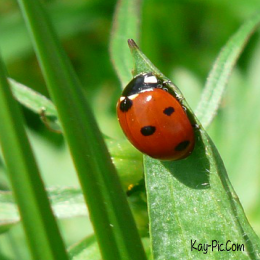 Go with your child to explore the great outdoors in order to find the pictured bug and catch it gently in the cup. What great fun you will have watching them try to catch a fly or listening to them squeal as they lift a rock and find an earthworm. Once a bug is caught under the cup. Show your child the picture of the bug and tell them the name of the bug. Discuss what type of work the bug does, such as how earthworms aerate the soil to help the plants grow. Have your child observe how the bug gets around. Does it crawl, fly, or slither? Have them listen to the noise it makes, does it buzz or is it quiet? Watch how the bug attempts to escape its captivity. Does it fly to the top or does it start to dig into the ground? After this short discussion, release the bug from the cup and watch it go. Remember, these are living things and so don’t keep them captive too long. Learning that our world is filled with harmless, hardworking, beneficial bugs will show children that bugs are not to be feared but to be admired and enjoyed. If you live in an area where your child could come across a dangerous insect, then act with great care. The exercise is to make your young child aware and amazed, not petrified.